I love to fly fish. I’ve been doing it since I was 12 years old, am decent at it and I have about 15 fly rods in my collection. I’ve tied flies, own all the assorted fly gadgets and have caught everything from redfish, to bass, to trout, all on feathers and fur. Geez, I even live in Colorado - how much more fly is there than that? But this is my argument for conventional tackle - yep, even the fly fishing community needs spin-polers. Just about all fly anglers have a closet full of skeletons in the form of a spin fishing background. For some it was a regional thing; they grew up in bass fishing country or on the salty stuff where conventional angling dominates the time on water and only took up fly fishing later. Perhaps they took up fly fishing just because they found themselves in trout country and fly tackle is stereotypically how you catch them. Still others dabbled in “garden hackle” fishin’ as a kid and drifted away from the sport entirely while girls, college and jobs took priority. They came back to angling as a fly fisher for various reasons. Regardless of how or why they got to the “silly stick with spaghetti string”, their introduction to fishing occurred very likely with a Zebco 202, monofilament line and a tasty morsel of some sort impaled on a barbed hook hanging under a red and white bobber. In short, if you’re a fly angler that can honestly say that you began your fishing habit with a fly rod in hand, you are a one-percenter, statistically speaking. And that is the root or at least one of the major roots, of my argument for conventional tackle. Fact: fishing needs more participants. Our demographic is getting older and recruitment of new anglers simply isn’t happening fast enough. 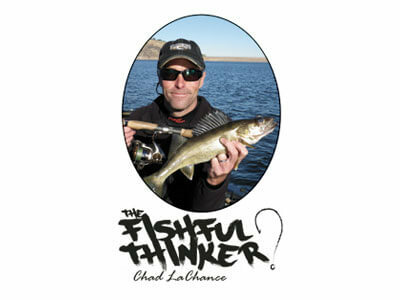 Fly fishing, as a sub-category of angling, especially needs new blood. It’s well known within the industry that fly fishing participation peaked around the mid 90’s as Americans were reminded of the sport’s allure by A River Runs Through it. The stagnation in angling participation numbers is worrisome from the conservation standpoint; when people no longer feel value in a resource, they will no longer protect it. Anglers (and hunters), more than all others, see the true value in the outdoor traditions and are the first to protect the waters and woods. Notice I didn’t say the sport needs fly anglers, rather that the sport needs anglers, period - all kinds of anglers. We need more people buying fishing tackle, all kinds of tackle, to generate excise taxes for resource management. We need them buying licenses, visiting rural towns built on the outdoors and working with various conservation groups for not only their core cause, but recruitment as well. Well, if the majority of fly guys started with spinning gear, why not come full circle? Let’s recruit conventional anglers - the fly fishers will evolve from those that we successfully hook on our sport. I’ve been teaching angling professionally for more than 12-years and volunteered to teach kids for another decade or so prior. Do you know what is paramount to the enjoyment of their first couple of attempts at fishing? Catching fish and the ensuing grip-n-grin. These days people expect and demand success and despite Thoreau’s aphorism that it’s not really the fish we’re after, at least in our early experiences, it IS all about the fish. So, let’s catch fishermen and fish as simply as possible; people will always find a way to complicate it themselves. A barrier to entering any new sport is equipment and good fly tackle ain’t cheap compared to good conventional tackle. Sure, conventional tackle can get expensive, but to get a newby into that grip-n-grin is cheaper and less complicated with simple spinning tackle that can be purchased at any big box store. That first rig, along with some easy access bluegill or stocker rainbow fishing, has probably resulted in more hardened fly fishermen than the fly industry would like to admit. Recruitment aside, there is another great and somewhat related argument for conventional tackle; catching fish is fun. I’m convinced that many anglers loose sight of that simple fact. One of my favorite emails to receive is from a guy that has solely fly fished for years and recently re-discovered the joys of conventional angling after watching Fishful Thinker TV. We preach to use the best tool for the job given the conditions and in many cases conventional tackle will keep you catching when you’d otherwise struggle. High, muddy rivers, heavy wind or deep fish all come to mind as cases where good spinning rod skills and the appropriate lures will keep you grinning. I watched a fly guy have a total melt down one time after battling the “breeze” for an hour, culminating in tossing his fly rod in the lake. If he had just calmly set his fly rod aside, picked up a spinning rod and tossed a jig instead, he would have caught fish just like we were instead of needing therapy. The case for conventional angling is strong; it’s a great way to get people hooked on fishing and also ensures that each and every outing has the highest chance for a satisfactory result, regardless of adverse conditions. Some may argue that fly fishing is the pinnacle of angling and it may well be, but the mountain is built with conventional tackle and thus its importance to the sport cannot be overstated.